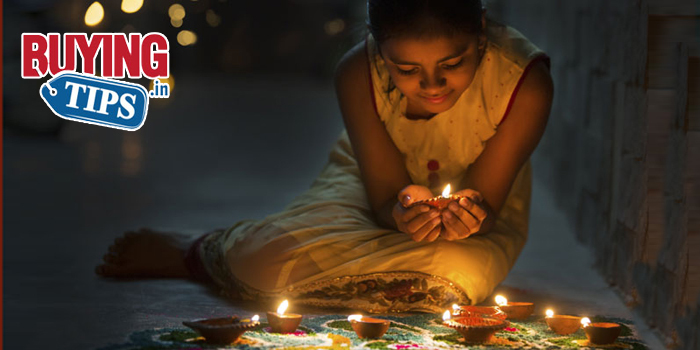 Everybody loves the festive season, may it be Diwali, Christmas or Eid. Everyone loves to celebrate it and in what better way to celebrate then by giving gifts to the loved ones. Nowadays everyone is fond of gadgets may it be small or big, people don’t seem to get tired of it. Gadgets have become an integral part of one’s life. Since Diwali is just around the corner here are some cool gadgets that you can gift your loved one’s. These gadgets are below Rs 5000 and will be a great gift for anyone who is a gadget freak . 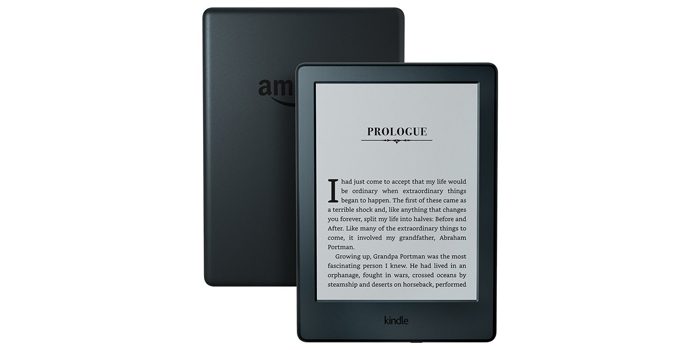 Kindle is one of the best gifts to give on Diwali. This E- reader device can save upto 1000 books. It is very handy, light and saves a lot of space while travelling. 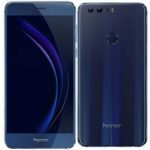 It is priced around Rs 5000 and is easily available on Amazon India. The device comes in a 6 inch touchscreen display that can be operated easily. It comes with anti glare mechanism, this means you can read it even under the sunlight and it also comes with a backlit that helps you to read in the dark. Kindle comes with wifi connectivity which lets you download all your favourite books and also allows you to browse Facebook. The battery lasts for more than 30 days. If you have anyone who loves reading books, this will be a great gift for them. 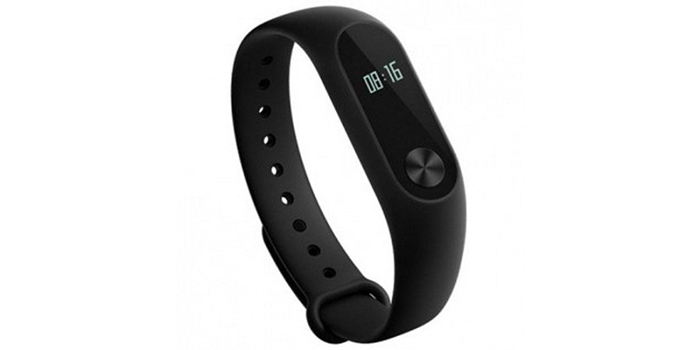 Recently Xiaomi introduced the upgraded version of their popular fitness band “Mi band” known as “Mi band 2”. This fitness tracker is priced at Rs 2000. The band can track your steps and can also monitor the heart beat. It is a great device for those who are into fitness. It comes in an aluminium plastic build that is sweat and water proof. This track band not only monitors the steps but also lets you know how much calories you have burnt. The device can be connected through an app that is available in both Android and IOS operating system. The battery of the MI band lasts more than 15 days. Powerbanks are one of the most essential gadgets in today’s time. No one travels without a powerbank. These devices are priced between Rs 500 to Rs 2500. These days although phones come with good batteries they don’t last for more than a day. These powerbanks can help you charge your phone more than once. The more the milliamp batteries the better you can use it. It comes between 3000 mAh to 20000 mAh batteries. 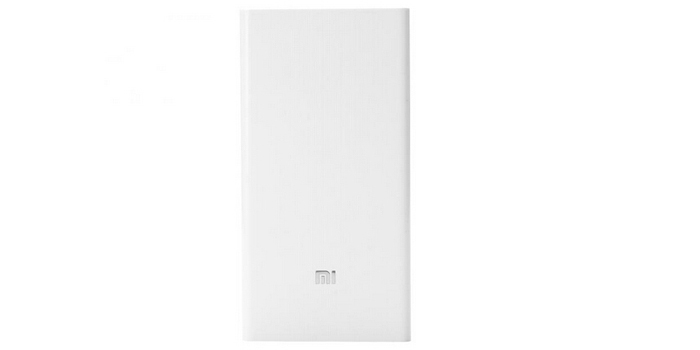 Xiaomi Powerbank is priced at Rs 2000 and comes with 20000 mAh battery, it comes with 2 USB ports that can simultaneously charge your devices. It takes about 8 hours to completely charge the powerbank and it can last upto 2 days. This will be a great gift to give for diwali. Who doesn’t wish for a pair of good headphones, We are sure that everybody loves them. 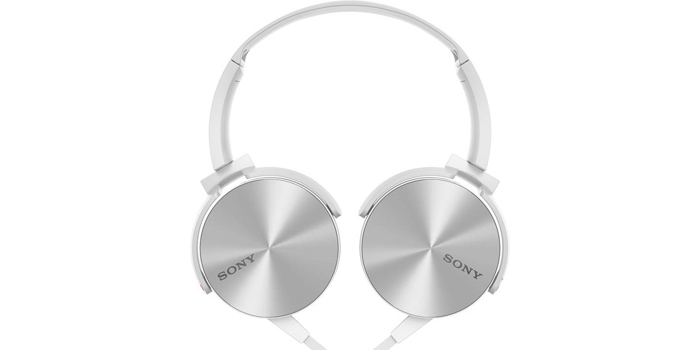 These Sony headphones are very elegant and classy to look. It comes in colours : blue, yellow, red, white and black. It is available for just Rs 2000. You can buy them from any of the e-commerce sites. They are portable and produce good sound. The bass, mid and treble are exceptionally good. The ear pods are soft and fits perfectly, These headphones are one of the among the best that are available at this price bracket. Now who celebrates any occasion without music, Everybody loves to listen to music may be it be classical or rock. Gone are those days where we used to listen to music in a big chunky Cassette player or a CD player. These days everyone wants a portable device that can be carried easily and offers good sound. Does the ” Portable speakers” came into existence, they are also called as the bluetooth speakers. The popular brands like BOSE and JBL have come up with some amazing bluetooth devices, However these are expensive and priced between Rs 5000 to Rs 50000. There are other brands as well which give value for money. 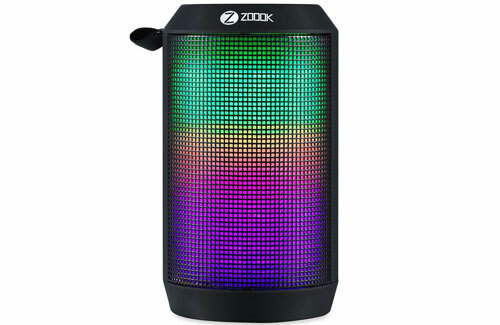 One among them is The Zoook Rocker 2 which is priced at Rs 2700. This speaker comes with a lot of features and functionality. It not only connects through a bluetooth, but can also be connected through USB and Aux Cable. It is a great deal for Rs 3000. The speakers are loud enough for a room and also comes with LED lights that plays according to the music. This speaker is one of the best among the lot. Tablets are a good gift to give, they can play games, watch movies and listen to music. One can also browse the net and do their office work. 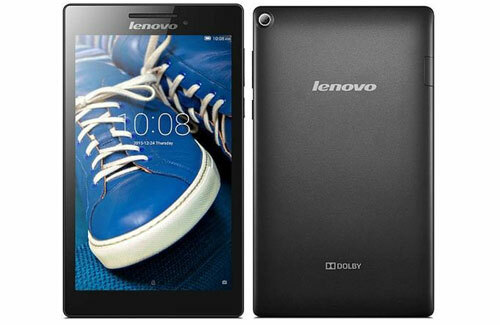 These tablets are priced between Rs 2000 – Rs 50000. This Lenovo Tab is one among the best selling tablets under Rs 5000.It comes in a 7 inch display with good viewing angels and colour saturation. The performance of the tablet is good with 1GB RAM. The tablet is good for watching movies, surfing and listening to music. The back and front of the camera is good for video recording and clicking pictures. Overall if you are looking for a tablet with the good features under Rs 5000, this will the best one to buy. After the growing popularity of the selfies, the selfie stick came into existence. These selfie sticks help you click great selfies. It comes with a remote that can be connected via yours phone’s bluetooth. Very easy to operate and can click amazing group photos. 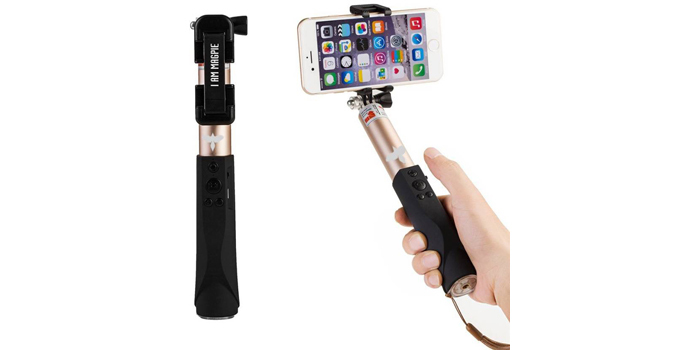 This particular selfie stick made by MagPie is priced around Rs 1300 and takes good selfies. It can extend upto 97 cms and can be easily rotated. The remote is compatible with Android and IOS Users. It comes with a USB cable that charges the remote. Overall a great product. Is iPhone 7 worth the upgrade from iPhone 6?